The Federal Aviation Administration came into existence as Federal Aviation Agency in the year 1958 when a bill seeking to create an independent agency to oversee the safe use of airspace was introduced into senate. 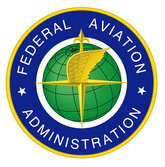 The agency changed the name to Federal Aviation Administration in 1967 after the formation of the Department of Transportation. The federal Aviation Administration is tasked with the challenge of providing an efficient and safe aerospace system and ensuring the efficient use of the national airspace. The increased growth of the aviation industry saw the automation of the FAA's operations. The corporate offices of the company are located at Washington DC. There are currently 0 consumer reviews about Federal Aviation Administration available. Share your review. Please take a note that you are about to post a public review about Federal Aviation Administration corporate office on CorporateOffice.com. This review will be public, so please do not post any of your personal information on this website. If you would like to contact the corporate offices of Federal Aviation Administration, please use their contact information such as their phone number, website, and address listed above to contact them. However, sometimes staff from Federal Aviation Administration headquarters do read the reviews on this website.